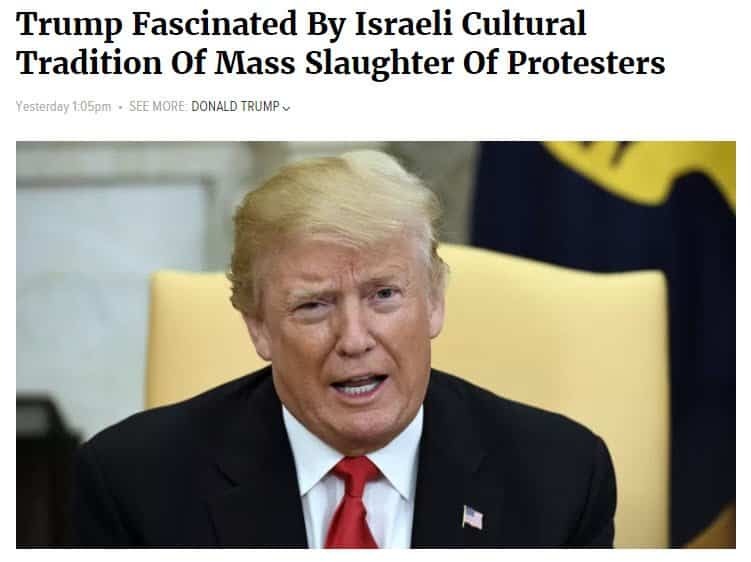 WASHINGTON—After spending the better part of Monday afternoon watching live television coverage of the demonstrations in the hotly contested Gaza Strip, Donald Trump declared himself “absolutely fascinated” by the Israeli cultural tradition of slaughtering protestors. 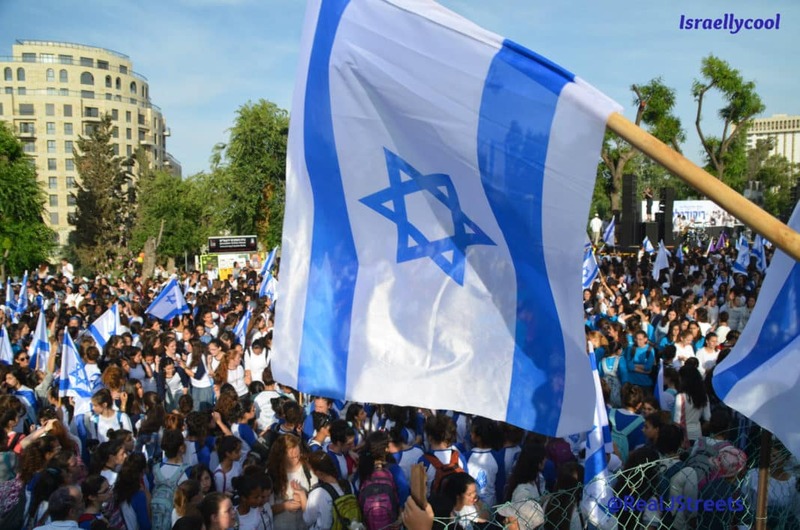 “It’s very beautiful, such a beautiful custom,” said Trump of the cherished Israeli pastime of mowing down unarmed Palestinians with rifle fire. “They’ve been doing this for years, but this is the first time I got a chance to watch the whole ritual. It’s really something, very powerful. Other countries use just tear gas, but here, they outright murder people for throwing glass bottles. I can really see something like this catching on in the United States.” Trump added he was “particularly moved” by the portion of the festivities that celebrated a 13-year-old Palestinian boy becoming a dead man.